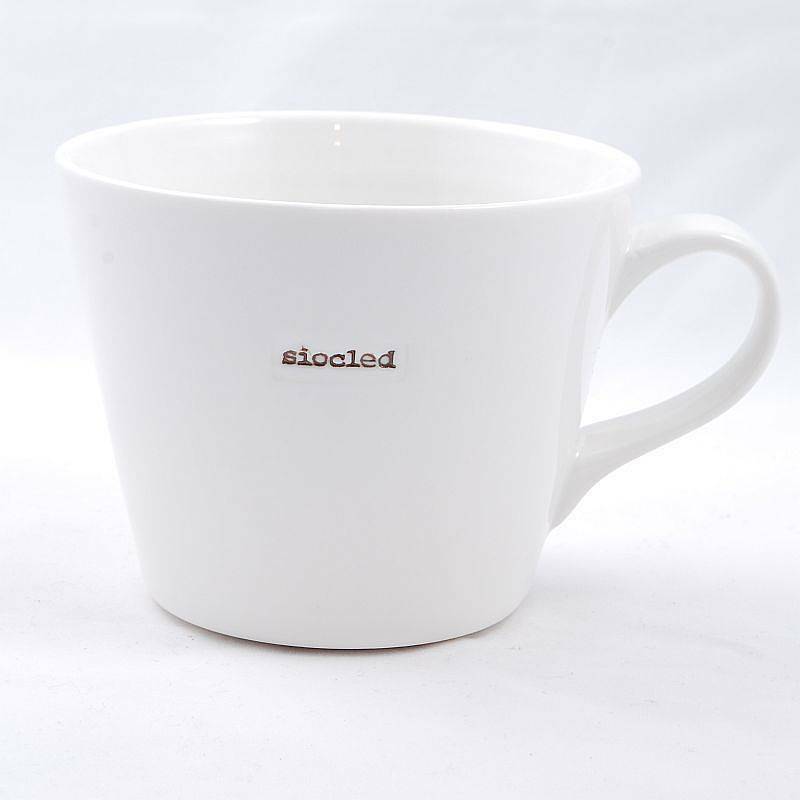 Bucket mug in white glazed porcelain embossed with the Welsh word for chocolate "siocled" in brown lettering designed by Keith Brymer Jones. Keith Brymer jones creates modern pieces of ceramics, which are bold, fresh and simple, yet traditional at the same time. Engraved with the Welsh word for chocolate (Siocled), this mug has ‘cosy nights in’ all over it! From cold winter nights in front of the fire, to enjoying a nice cup of cocoa in the sunshine, this mug covers it all! 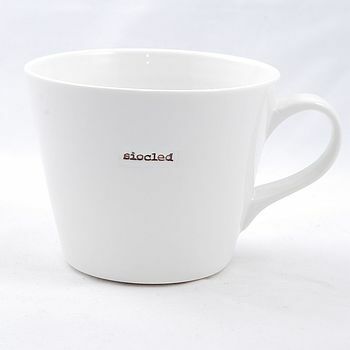 Ideal as a gift, or as a treat ‘to me, from me’, enlighten your mug collection with this cool and quirky piece! This product is dispatched to you by Bodlon.